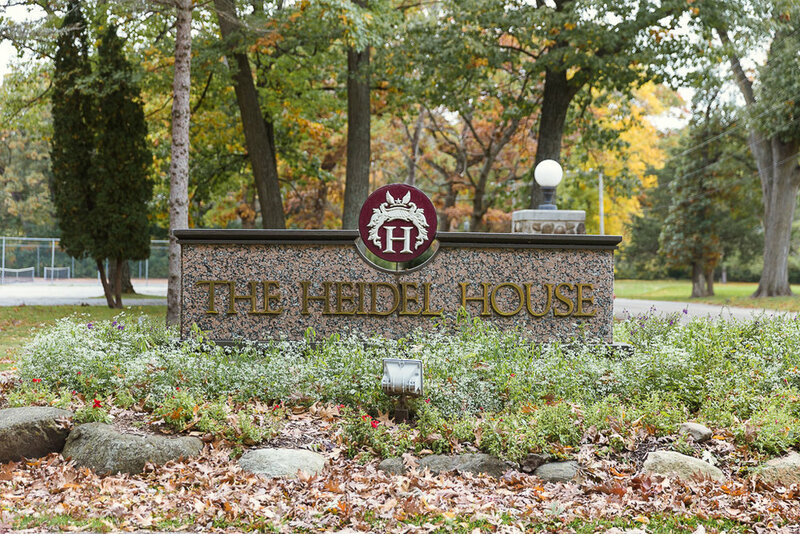 Built in 1890 as a 12 acre private residence in Green Lake, Wisconsin, it later became the now popular Heidel House Resort in 1945. A gorgeous lakeside retreat with rich family heritage. Throughout the years it has morphed into the lavish retreat Wisconsin residents and beyond, have come to know and love. The EvenSong Spa was also added in 2006 as an added treat for guests to enjoy and indulge. With sweeping water views from nearly every angle, it’s quite a special place. When planning a wedding at The Heidel House Resort and Spa, they really have thought of everything. From your rehearsal dinner, which has an option to use their very own private 60 foot catamaran, The Escapade; to bridal hair and makeup, to gourmet menu choices and even audio and visual packages! You can have a wedding here ANY time of year. From Spring and Summer blooms, fabulous Fall foliage and Winter snow white wonderlands, you can’t go wrong. 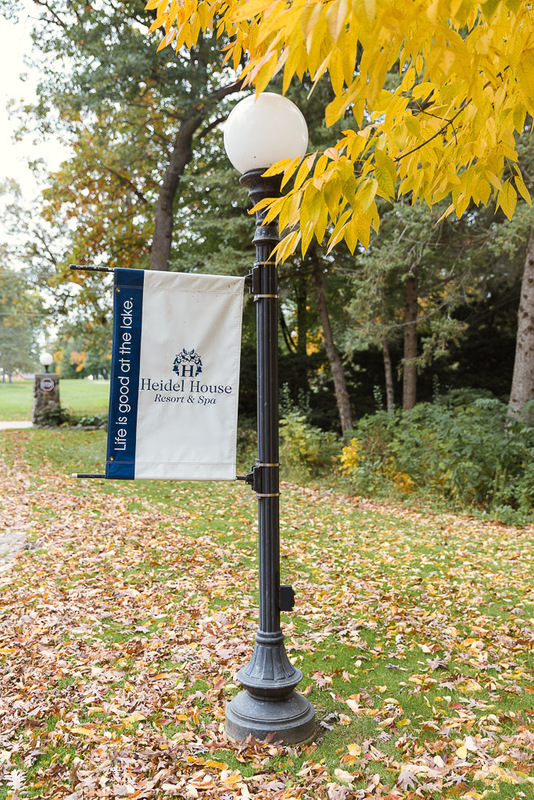 With several different options for indoor or outdoor ceremony and reception sites, The Heidel House Resort and Spa will guide you every step of the way and through every detail so ensure you have your ultimate dream day with your friends and family. That way you can relax, party the night away and enjoy your big day stress free! Fun fact: the fire photo below was taken on the outdoor patio during a wedding reception being held in the Daycholah Room. And, even better? This couple provided the makings for yummy s’mores for anyone who wanted to come out and roast a marshmallow! The entertainment staff can easily arrange to start a bonfire for your guests to enjoy and they’ll manage it so you’re assure that your guests are well cared for. Extra added bonus, The Heidel House Resort and Spa, is green friendly! They try in every way possible to help ensure the wooded environment and wildlife that surrounds them is going to thrive for generations to come. They have developed ways to reduce waste and stay as green as possible. They have also trained their staff in the Green Initiatives program AND have a Tesla model S vehicle charging station! They are the epitome of staying up with technology AND keeping our natural resources safe!